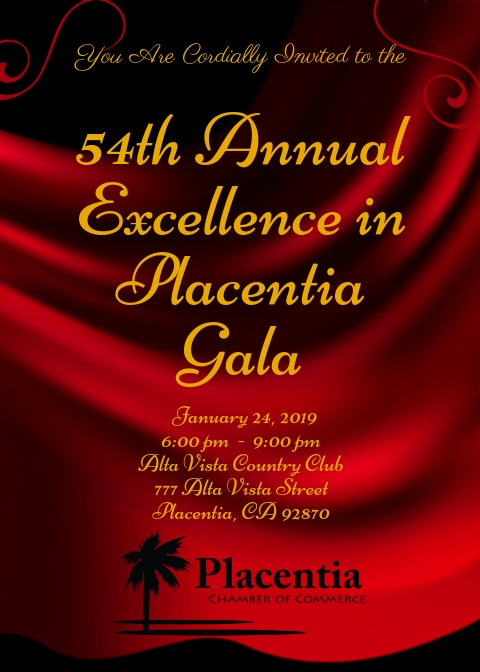 Please join us for our 54th Annual celebration honoring the amazing Citizens and Businesses that make Placentia such a great place to live and work. This year, we are adding Best Employer and Best Youth Volunteer to our list of honorees. Go to www.ExcellenceInPlacentia.com to reserve your seats now!